Indoor and outdoor conference & event space available for hire. 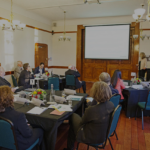 Situated in London’s peaceful Regent’s Park, just minutes’ walk from Baker Street tube station and the West End, Regent’s Conferences & Events offer beautiful outdoor spaces and an affordable range of attractive meeting & function rooms. Incredible outside spaces for up to 1200 summer party guests. Purpose built auditorium & stunning spaces for conferences. Versatile and inspiring spaces that are perfect for any meeting. Beautiful Weddings set within a tranquil oasis. Our unique spaces & beautiful location make us the perfect choice for a wide variety of events. 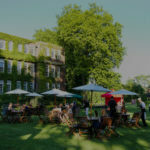 The immaculate York Lawns are amongst the most coveted outside spaces in central London. Marquees and temporary structures provide additional stylish event space giving us ample room to cater for up to 1,200 summer party guests. sessions, lunches and breaks. Our location – just minutes from Baker Street tube station – makes travel to and from the venue convenient for your guests. It also means you’re only a short journey from the West End. Our meetings and events rooms offer huge versatility to organisers. Herringham Hall, with its high ceilings and huge, arched windows is an impressive space which lends itself brilliantly to dynamic events including launches and parties. The Tuke Common Room is another one of our signature spaces with real character reflected in the original art deco features. Wood panelling and views over the lawns help create a true sense of occasion to this room, which is often used for board meetings and weddings. In addition to our four feature rooms, we also offer a variety of contemporary, versatile classroom spaces, ideal for weekend training sessions and courses. Each and every wedding we host is unique and we pride ourselves on our ability to make all of our couples’ visions become a reality.